This is a very intense infusion and maceration of organic fresh Rue in water, to be used in exorcisms and expelling of noxious spirits. Rue is the mightiest of the plants for the expelling and cleansing of individuals, objects or places. This aqueous concoction is one of the most powerful we offer. Even though it could seem this water is just an infusion, it should not be used unwisely. A huge amount of fresh Rue was infused for more than half a day in boiling water. Thus you can imagine the poignant smell and potency of this menstruum. Made according to the principles of Verdant Gnosis and the Poison Path. Destructive energies are burnt down by its fiery nature, and the ill-intended are destroyed by its power. 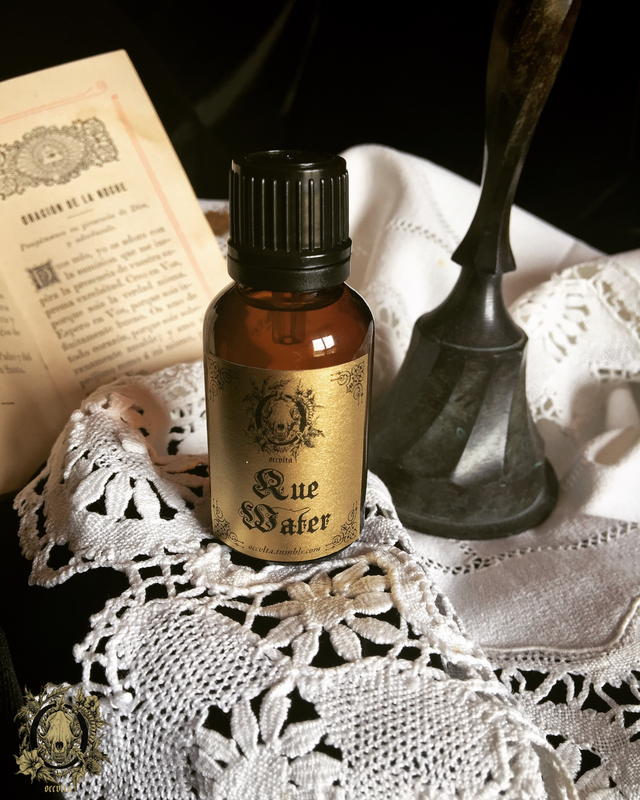 This water is to be used, such as indicated in folk magic practices, as an additive to floor washes to get rid of those who afflict a building or a person, or even as a sprinkle of Exorcism. You will find Rue water at the STORE.